Not every Google move causes tectonic shifts. Some of them are subtle but give you the chance to improve your productivity by a notch. The integration of Google Keep within the Google Drive suite of apps should have been a no-brainer from the start. But better late than never, we get to see why it means something more than an extra browser tab for your notes. Open Google Docs and then click Tools in the menu. Select Keep notepad. If this is your first time opening the Keep notepad, you will be prompted to enable the feature. Click on Try It in the notification that pops up. A sidebar is displayed on the right of your document with all your Keep notes. That’s it. Now go to work! You can see some of the obvious benefits if you have used Google Keep to capture thoughts while mobile. Your rough notes can be fine-tuned in a Google Doc without opening both separately and copy-pasting the information from one to the other. You can drag and drop your notes from Keep directly into your work documents. Your notes in Keep are searchable as before within Docs so that you can find the information you need to complete your project. You can add a new note in the Keep notepad or send text from your document to a new note (Right-Click > Save to Keep notepad). A link to the source document is automatically inserted in the note so that you can always link back to it. The contextual notes (i.e. notes can refer to documents) can be an invaluable part of writing a well-researched document with Google Docs. Notes can be permanent or short-lived as per the demands of the task. And last but not the least, Google Keep is as collaborative as Google Drive itself. Do You Love This “Merger”? One of our readers (Pablo) found a way to combine Google Keep, Google Docs, and Gmail to write complex emails. He collects all the information in a note, then transfers it to a Google Doc from the sidebar, and then formats it. Now it’s just a matter of copy-pasting this formatted information into a fresh Gmail. Any layout designed in Google Docs is preserved with a transfer to Gmail. 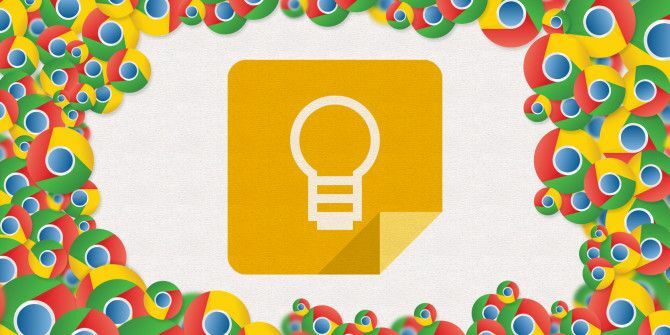 This is just one of the creative ways to use Google Keep 10 Creative Ways to Use Google Keep Every Day 10 Creative Ways to Use Google Keep Every Day Google Keep is a simple note-taking app. But its simplicity hides its usefulness. Here are ten tips and ideas to use Google Keep for the little everyday things in life. Read More . What other uses can you think of? In what little way does this union help your productivity? Explore more about: Google Docs, Google Drive, Google Keep, Note-Taking Apps. Saikat Basu is the Deputy Editor for Internet, Windows, and Productivity. After removing the grime of an MBA and a ten year long marketing career, he is now passionate about helping others improve their storytelling skills. He looks out for the missing Oxford comma and hates bad screenshots. But Photography, Photoshop, and Productivity ideas soothe his soul. Google Keep vs. Evernote: Which Note Keeping App Is Best for You?